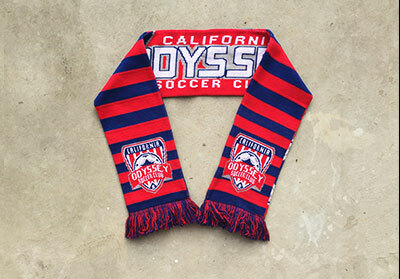 Show your club spirit with the first official California Odyssey SC soccer scarf. Reversable with unique desgins on each side. While supplies last. The sale ends when the last scarf is sold. Place your order below by clicking PayPal Buy Now button. The Odyssey office will contact you and let you know when your scarf is ready for pickup. You will pick up your order at the Odyssey office.